Donald Trump’s business success means that he’s is a smart man who will quickly adapt to his new role as president, Russian Vladimir Putin said. “The fact that Trump managed to achieve success in business, suggests that he is a smart man,” Putin said in an interview with Russia’s NTV channel. “And as he is smart, that means he will fully and quite quickly be aware of a different level of responsibility. We assume that he will be acting this way,” he added. 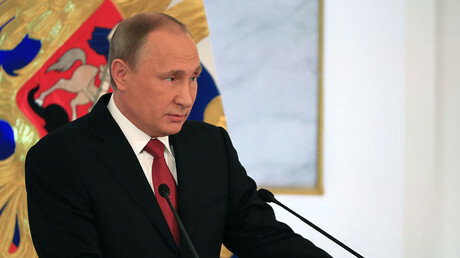 Vladimir Putin also touched upon the current geopolitical situation, saying that he could see it changing, as attempts to establish a unipolar world have failed. “I believe that it is not a secret, everyone can see, that many of our partners prefer to refer to the principles of the international law, because the balance of power in the world is gradually being restored,” he said. He also said that Russia is ready to participate in solving global and regional crises when necessary. “We understand the extent of our responsibility and are sincerely willing to take part in solving global and regional problems, of course, where our involvement is appropriate, necessary, and in demand,” the president stated.